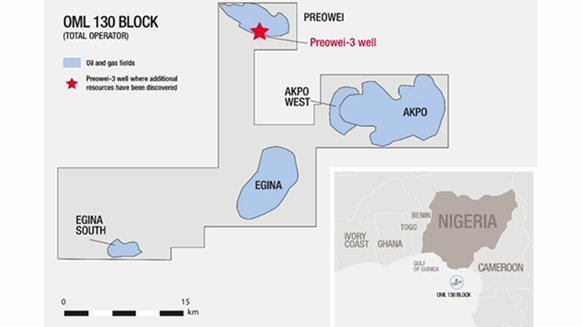 Total reported Wednesday that it has achieved first oil from the deepwater Egina Field. 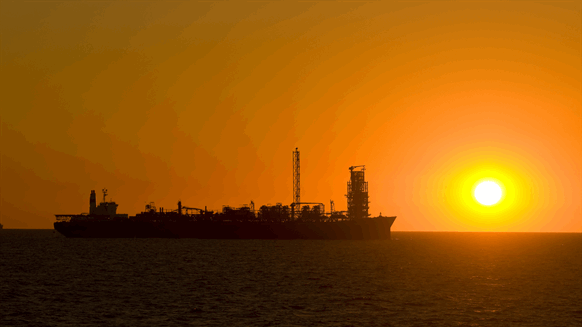 Total S.A. reported Wednesday that it started production Dec. 29, 2018, from the deepwater Egina Field, located approximately 150 miles offshore Nigeria. “Total is proud to deliver a project of this size under the initial budget and to contribute to the development of Nigeria’s oil and gas sector by generating employment as well as building industrial capability,” Arnaud Breuillac, Total’s president for exploration and production, said in a written statement. According to Total, at plateau Egina will produce 200,000 barrels of oil per day. That equates to approximately 10 percent of Nigeria’s production, the company stated. Also, Total noted that the floating production storage and offloading (FPSO) unit used to develop Egina – located in a water depth of approximately 1,600 meters (5249.344 feet) – is the largest such vessel it has ever built. The company also reported that the project has involved a record level of local contractors, with six of the 18 FPSO modules built and integrated locally and 77 percent of project hours worked locally. Total also stated that it achieved startup at nearly 10 percent below the initial budget. It attributes the $1 billion-plus in capital expenditure savings primarily to “excellent drilling performance” that cut drilling time per well by 30 percent. First discovered in 2003, Egina is the second development in production in the Oil Mining Lease (OML) 130. Akpo, the first field developed in OML 130, began production in 2009, stated Total. The company added that it anticipates an investment decision this year for Preowei. This map from Total shows the orientation of the OML 130 fields. Total Upstream Nigeria Limited operates OML 130 and owns a 24-percent interest in the block in a partnership with Nigerian National Petroleum Corp. Other stakeholders include South Atlantic Petroleum – SAPETRO Ltd. (15 percent), CNOOC E&P Nigeria Limited (45 percent) and Petrobras Oil and Gas BV (16 percent).